Our Nursery Playrooms cater for children from 3 months - 5 years of age. We have our Baby Room (3 months - 18 months), our Toddler Room (18 months - 2.5 years), our Tweenie Room (2.5 - 3.5 years) and our Preschool Room (3.5 - 5 years). We also benefit from an extensive outdoor area. We offer FREE Settling in Sessions to ensure both you and your child are ready to start nursery. Each transition from one room to the next will always be discussed with you in advance. We understand every child is unique and we will ensure they progress through our playrooms at a time that is right for them. Our Staff:Child Ratio; 0-2'S (1:3), 2-3's (1:4), 3-5's (1:8). *Minimum number in accordance with current Ofsted regulations. Where possible these will be lower. To come and see our playrooms for yourself please get in touch or book your viewing online today. We love to get outside at Holyrood where we have a large outdoor area. Our younger children access the garden in small groups throughout the day, enabling to mix with different age groups. Our preschool room offers continuous outdoor provision, enabling our children to choose where their learning takes place. 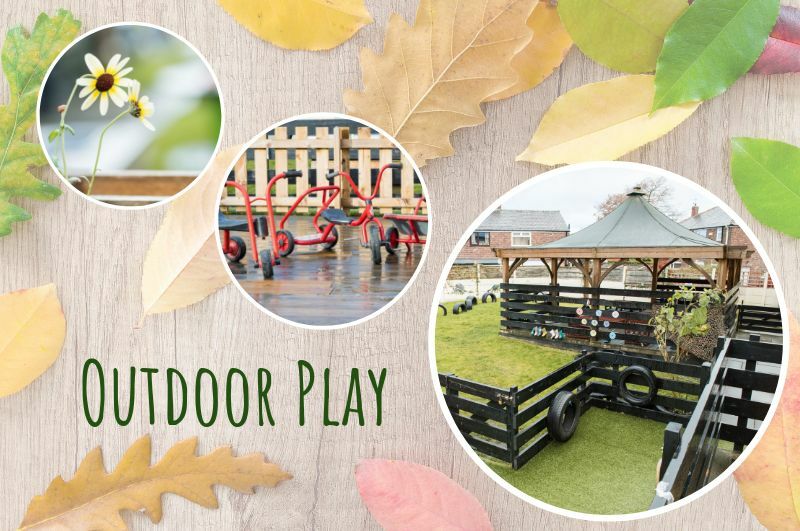 The children are able to explore the outdoors, with a small nature garden for our babies to explore, and are also provided with planned activities. Our children make full use of their outdoor area as well as regular trips out in their local community. To keep up to date with our recent adventures, follow us on Facebook for more regular updates.